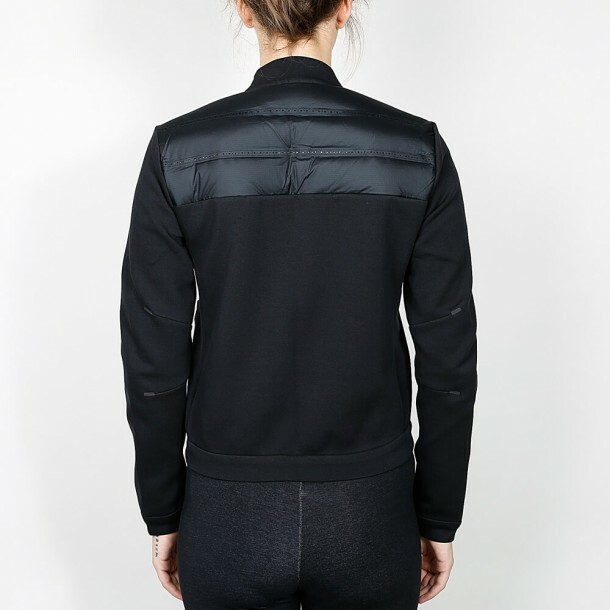 This black Tech Fleece Aeroloft jacket for women is designed in a trendy bomber cut and combines comfort, protection, functionality and style in one piece of clothing. 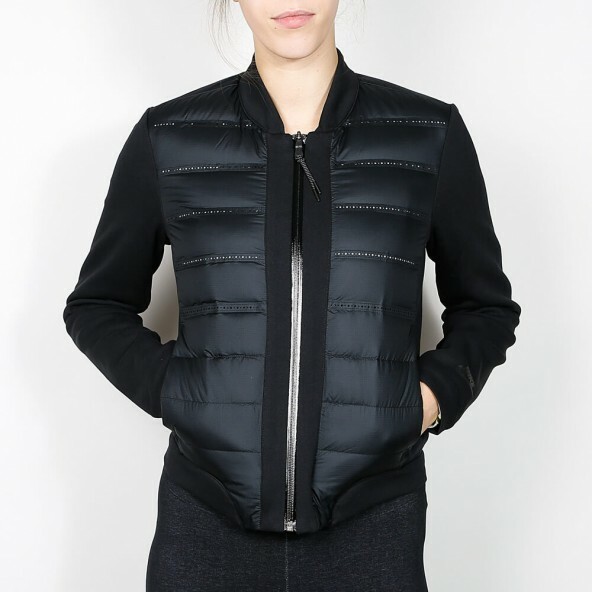 The slim silhouette is partially equipped with a down layer on the back and front of the jacket which keeps you warm. The Tech Fleece gives off enough heat although it's so light and also feels very soft on the skin. The Aeroloft technology provides a special thermo-control that makes the bomber jacket the perfect outdoor apparel.